I wish to reply on the latter statement, that we’ll face still better times… do I have to understand that our children will get 3 cleaning-persons each? I wonder where we’re are going to grab these cleaning-persons, as now it is already a major problem, whereas not everybody has one nowadays. In my opinion Western people will have to alternate their attitude, otherwise we will head for an army consisting of officers only. Everybody will feel oneself too good to be merely a soldier… and then ? I can imagine that you’re nodding approvingly, that’s the way… but after don’t we wish that our children will graduate and be a part of the officer staff and not mere foot-soldiers… If a child has the capacities and the fierceness to study, I’ll be the first to encourage and to toast on a brilliant highschool diploma, but when I hear that they intend to facilitate our smart education system in order to increase the chances of success, I will definitely go off. I admit that we are going downhill, far from the ideal understanding of the world where our grandparents as well as our parents worked so hard for, so that we are now doing so well … and we do ! Fortunately we are well protected in the cocoon of our passion. We work in a real niche market, according to our economic model that is not subject to the economic climate. And the niche market keeps turning at full speed. Many people try however to board into the world our vehicle hobby, that is gradually growing to an up to the mark business. In terms of Volkswagen speaking it’s incredible how many people are earning their bread in each country with air cooled Volkswagens. It hasn’t been otherwise in 2012. The meeting season, being an important engine to the VW economy will be astonishing in 2013. Hessisch Oldendorf, European Bug in, a new two days meeting in Lubbeek (Belgium) and so much more, always more, always bigger… we’ll have to plan carefully how to attend to as many meetings as possible! 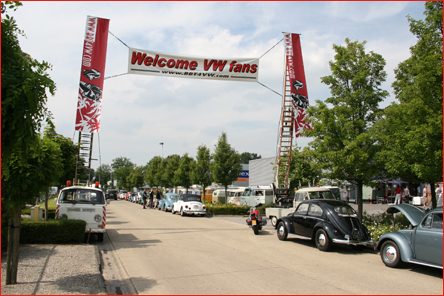 Even for BBT all these VW events have a surplus value, their visitors are after all potential consumers to be helped! But there is more…internally BBT is not standing still… major changes in the stock policy and rotation should lead and keep our stocks onto better tracks! We are working hard to order the right quantities, the statistics in excel are flying over the screens, everything should be ready, a serious audit and a strong financial plan, it seems to be a big enterprise here, but then in a nutshell. BBT is becoming a big boy and who knows, new challenges? Anyway we’re ready for it! BBT wants to please their customers on the first place. In 2013 we’d like to write SERVICE even more in big capitals.. Let’s go for it! We’ve plenty of good intentions! And that should be the case of course, we are looking back on a magnificent year, a considerable growth, that proves that we pursue the right course and we’re ready for the next step, business pur sang, a real challenge, but we’re carrying it out! For the present I wish to thank you customer, supplier, supporter and fan. Thank you for believing in BBT and to support us in 2012. Therefore as token of appreciation we’ll exert ourselves for a wonderful 2013. Happy New Year! BBT keeps working to provide the best service at a minimum of efforts for you, as distributor of BBT parts. Therefore we’ve started to facilitate return management, automation of backorders and order list processing. Some of our distributors have already started to use some of these applications and their feedback seems to be very helpful to get these applications on track. Due to the success of these recently developed applications and addition of some helpful tools we’ve had to shift over to a new website host service and now we’re ready to release the 3 latest developed features. First application is the return form which will no longer require the need to complete and fax the paper edition return document. You’ll only find the fields which are important for you and you get informed automatically by e-mail when your return has been approved and can be returned. The second feature we would like to introduce is the back-order function (from 14/01) which has been linked to the order processing feature. As you already might know, online stock updates are performed daily and have an high accuracy which guarantee almost correct information. As soon the goods come in our warehouse you’ll get automatically informed by e-mail and you can easily add the backorder item to your order list. This order list can be sent to our sales department and they will process the order almost immediately. Last but not least, to make an easy and swift order processing we’ve created different ways to add parts to your order list (from 14/01). You only need to make sure you’ve done login to our website. You can add parts to the order list by just tracing them in the online catalogue and add them to the list. You can add backordered items to the list that were previously in backorder and have now been announced available again by e-mail. You can just introduce individual part numbers and quantities on the order list. A fourth way to make orders is by uploading them directly into an order list using an Excel file. Don’t forget to confirm the order and we’ll start to prepare the parts. We hope these features will be helpful but please do not hesitate to contact us for any further information or help. Prices are indicated on the pricelist itself! 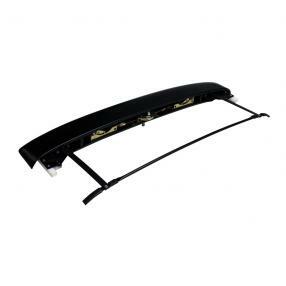 BBT is the exclusive distributor in Europe since spring of 2012 of the VW Sunroofs products, that are essential for a good revision of the canvas sliding roof of your VW beetle or bus. We are trying to complete our assortment as much as possible and that?s why following products are now available of a range of more than 62 different parts. These molding sets are a nice accessory to embellish the rear and lateral engine vent trims on Type 2 combi models. The moldings are fixed by means of pins on the body and they are made from stainless steel, so that they won?t corrode. Available from stock per set for 1 vehicle. 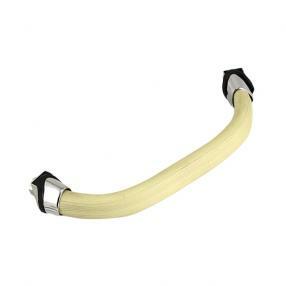 This ivory color dashboard handle can be found on Type 1 08/57-07/67 sedan and convertible and offers the passenger some holding . The handle is often damaged on many beetles by sunbeams and frequently use and needs to be replaced. BBT can offer from now on a good alternative, including assembly material, from stock. 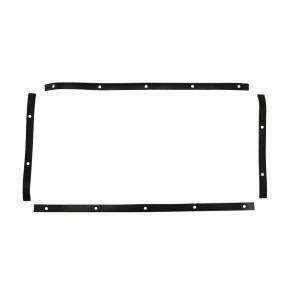 This dash protection plate is an alternative for the PVC part (# 0570) that we have in stock since many years. It is made out of the original style material and perfectly suitable for restoration according to the original model. So your damaged or lost item can be replaced now without problems. Available each from stock. 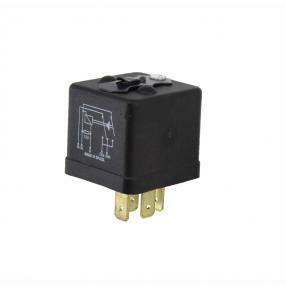 Finding high beam relays at a good price/quality proportion was a whole job these latest months. The quality that we used to present wasn?t apparently satisfactory and gave problems after use. From now on BBT can offer a good alternative for your used or damaged by corrosion items and they come now from a BBT coordinated production. This is an absolutely essential part to retain the battery. We often see that this clamp has been lost during restoration and as we had no replacement to offer. From now on this clamp is available in a good quality each from stock. The exhaust system and all related parts are definitely one of the parts of our classic vehicles that are the most susceptible to corrosion. Differences in temperature by heating and cooling and humid weather conditions make that the exhaust and assembly parts need to be replaced regularly. 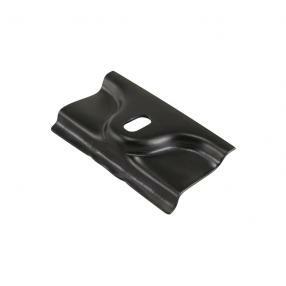 The exhaust bracket that we have taken now in our assortment is a perfect and correct alternative for the assembly of the pipe outlet. One bracket is sufficient for 25 HP engines. For 30 HP engines you?ll need 2 brackets. Available each from stock. The pre heat tubes of the intake manifolds near the engine plating guide is sealed by means of 2 plates, foreseen of insulation to prevent that the heat of the engine underneath the vehicle can run through the engine compartment. After many years of service this insulation material has become fragile and does no longer seal properly. From now on BBT can deliver from stock the insulation material in a set suitable for all engine based on Type 1 from 08/60 except for AR 1300CC engines. This seal sits around the heater filter tube at the rear of the engine and prevents that the tube gets damaged near the lead-through hole in the engine plate work. Fluctuations of temperature, corrosion by engine oil and fuel fumes can damage this seal. From now on BBT presents a replacing item from stock. ATE definitely is one of the manufacturers who were working in an early stage together with Volkswagen for brake and engine parts. ATE brake parts have proved their durability since many years and therefore it won?t be a surprise that many fans prefer to use parts of this specific manufacturer for repairs and/or restoration. From now on BBT presents, apart from the Varga wheel brake pumps, also those from ATE for Type 2 08/63-07/70. At the front you need for each wheel 2 items, whereas at the rear you need just 1 wheel brake cylinder per wheel. Available each from stock. Blue brakehose, 5 meter roll, From the reservoir to the master cylinder. 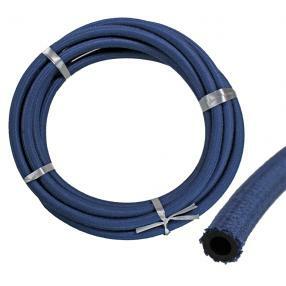 We already have this brake hose in our assortment for quite some time made to measure of 0,5m, sufficient to replace the blue brake lines between brake fluid reservoir and master cylinder. 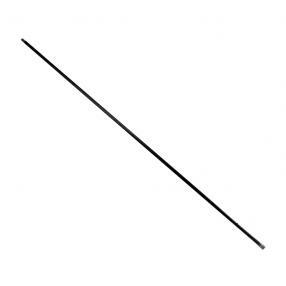 Although we often receive demands for lines resistant to brake fluid in longer measures. From now on BBT has this line also in stock in a length of 5 m.
With these non-perforated brake drums for Type 1 beetle 08/67- we can help lovers of alternative wheels. Drums can be bored into each desired nut circle, which fall into the reach of the drum. 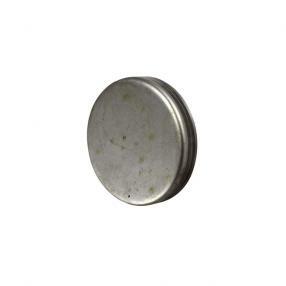 These brake drums are properly made and available each from stock. 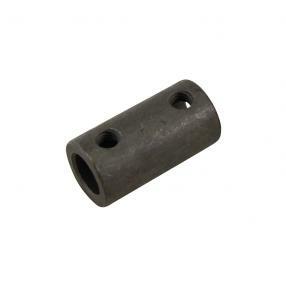 These heavy duty gas shock absorbers make part for many years from our assortment for Type 1 Beetle models, where these absorbers have proved their solidness. 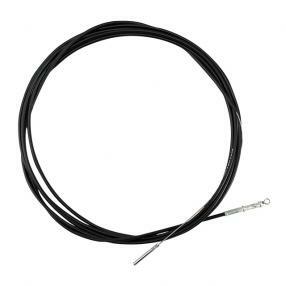 There are also good shock absorbers for Type 2 on the market and BBT has decided to present them also from stock. Sold each and available from stock. Wheel bearings are definitely one of the parts subject to wear of the classic car. Since many years we have the wheel bearing available as a set from stock. Nevertheless we often receive demands after separate bearings and most of all after the grease seals. 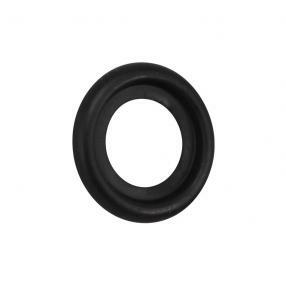 Consequently our purchase department has done a lot of research to be able to offer wheel bearings and seals for Type 1 beetle, Type 2 bus -07/79, Type 3 and Type 181 each from stock. 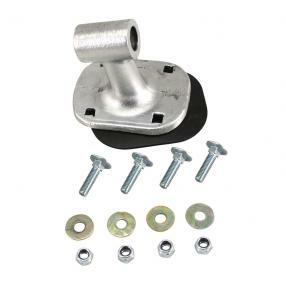 This M20 nut has several applications for assembly of the suspension parts on your classic VW. 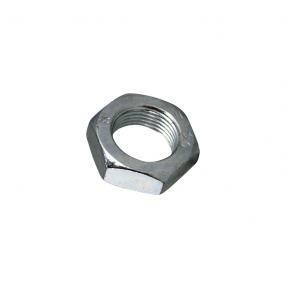 Damaged nuts can now be replace without any problems. Available each from stock. The shift transmission on buses is divided in several parts due to its length and the many obstacles underneath the body. These parts are attached one another by means of couplers. These couplers can get damaged by corrosion or after many years of use so there will be play or they get damaged during disassembly. BBT has since a long time already in our assortment the coupling at the rear of the shift shaft under # 1405 for Type 2 -07/67 and for Type 2 08/67-07/79 under # 1406. 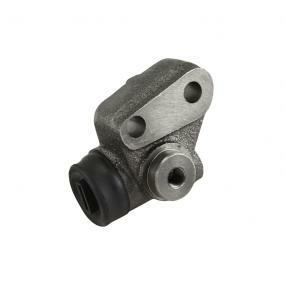 The front coupling is from now on available in a good quality from stock under # 1403-250 for Type 2 -07/61 and under # 1403-260 for Type 2 08/61-07/79. The connection between shifter boot and gear box consists of some guides and seals which should be in impeccable condition. 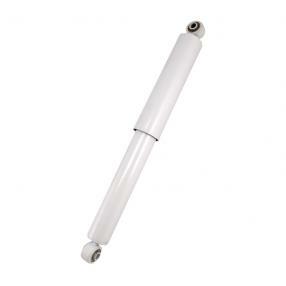 If these guides are not replaced in time, the shift shaft can get damaged. 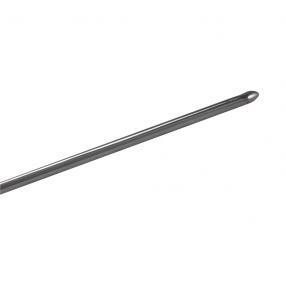 With this shift shaft for Type 2 10/61-07/67 that we have now in stock you can replace the corroded or bent due to play shift shaft. Available each from stock. For a long time, BBT has been searching for a solution to the ever rusted spring plate covers for the Beetles up to 08/59. After intense research, we finally found a producer that can make this quality product for BBT. These spring plate covers are delivered as a pair and are an exact reproduction of the original part.1432-000 will be suitable for Beetles produced up to -10/52, while 1432-100 will be the reference to use if your Beetle was produced between 11/52 and 08/59. The transmission of the driving mechanism on Type 2 has been equipped since 1949 till 1967 with reduction boxes in order to generate a more powerful transmission and to create more space underneath the vehicle. There are 4 pinions and 8 bearings (at both sides) in the reduction boxes that are running in an oil bath. 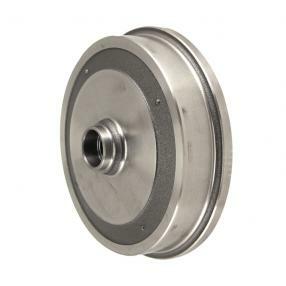 With regular maintenance and correct use these parts won?t easily get damaged, though when driving an lot of kilometers pinions and bearing can show some abrasion. On model from 08/63 you can only pull out the inner bearing underneath after first disconnecting the locking nut at the inside and removing the shaft out of the bearing. This nut is only accessible through the housing plug at the rear part of the reduction box and it is often damaged during disassembly. We also recommend to replace the locking nut that clamps the shaft against the bearing in order to assure a reliable and proper securing. 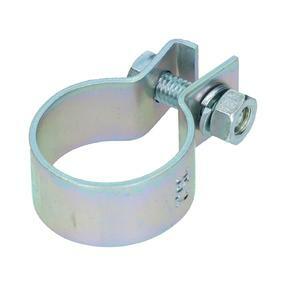 From now on BBT can deliver the housing plug and the locking nut in a good quality each from stock. 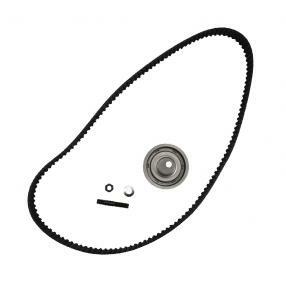 The timing belt is an essential part on Type 3 diesel engines and makes that transmission is adjusted on each other of cam shaft, injection pump and oil pump through the crankshaft. This driving belt should always be in perfect condition to fulfill its important function and heavy duty. When the belt breaks while the engine is turning, it can provoke damage to cylinder heads, valves?.. We recommend to replace this belt every 120.000km and as most of Type 25 Transporters drive a lot of distance, the demand after this timing belt is quite considerable. BBT can offer you from now on a good price/quality kit in a good price/quality proportion from stock. The engine tins have an influence that can?t be ignored on the life time and return of the engine and should always be in optimal condition. We have already for many years plating in a good quality for double admission Type 1 engines. Now we can also deliver plating for single admission engines. 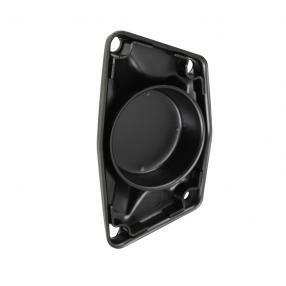 Your rusted and damaged cylinder covers can now be replace without any problems. Available per pair from stock. 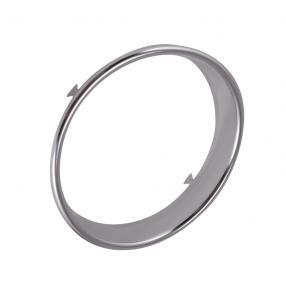 For quite some time BBT has the chrome speedometer ring for model Type 1 10/52-07/57 available from stock (# 2690). Although there is also an important demand for rings for model 08/57. Our stock of second- hand speedometer rings is meanwhile exhausted, that?s why we?ve decided to take a good reproduction in our offer. 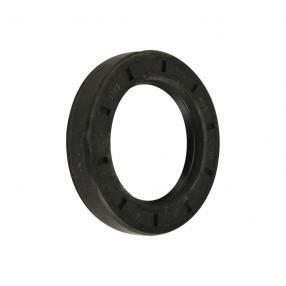 From now on the speedometer rings are available in a good quality each from stock. 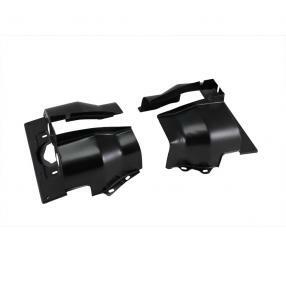 You can replace hardened seals with this sealing-strip, which are located in the fresh air box that is mounted against the roof of the driver?s cabin. 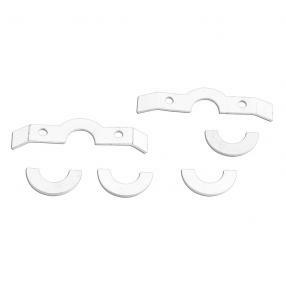 The seal has prepressed holes and the kit contains enough to seal the fresh air cover without problems. 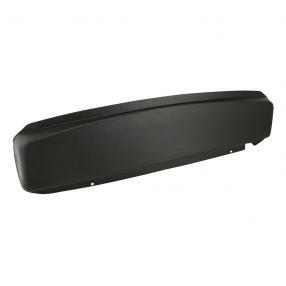 These nail trims can be found at the outside of the hood with Type 1 and Karmann Ghia convertibles. They make a nice finish and the outer covering will fit nicely on the frame. This molding can get corroded or the nails can break off. 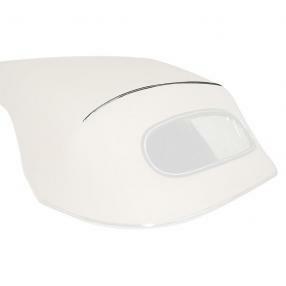 When you replace the hood, you probably can?t use the nail trims anymore. 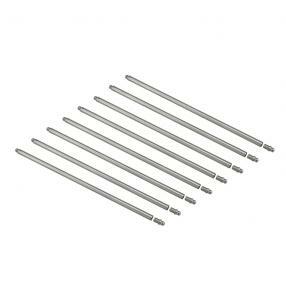 These nail trims are then a good solution and are available each from stock. Meanwhile winter has arrived in Europe and a good jacket is therefore very welcome. 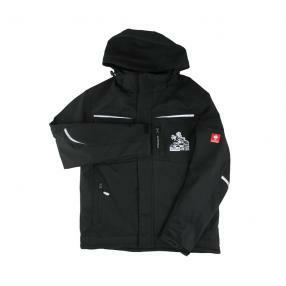 With this cold period in mind BBT has taken in stock this good warm, wind protecting black jacket with hood in cordura from Engelbert Strauss with print. Together with the BBT knitted beanie (BBT # 9950-000) it?s the perfect outfit to attend in these freezing months meetings or stay at your workshop. The jacket is available in the measures Medium, Large, Extra Large & XXL.